Tune in on April 15. Netflix has confirmed plans to launch its first comedy radio station. Netflix Is A Joke Radio, which is being launched in partnership with radio streaming service SiriusXM, will go live on April 15. It will feature “highlights from top Netflix talent,” including Adam Sandler, Chris Rock, Dave Chappelle, and Ricky Gervais. When Netflix announces new originals, fans look forward to a hit new TV show or an innovative movie. 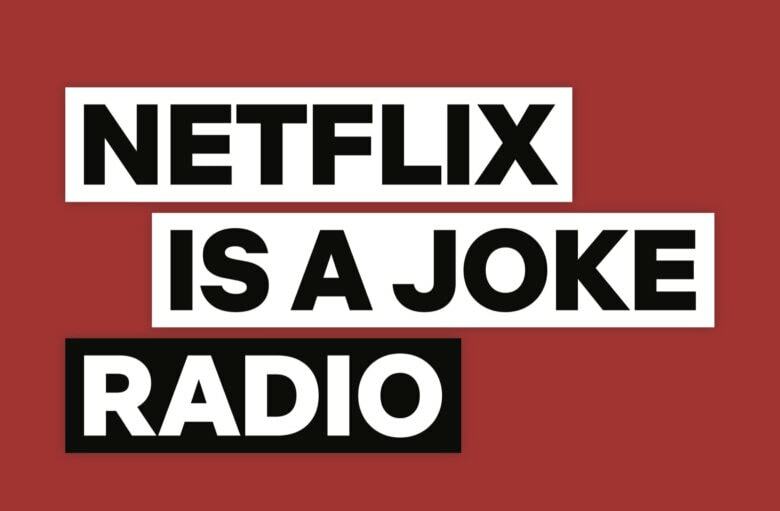 But for the first time in Netflix history, its next big release is a full-time comedy radio station. The station will be available on SiriusXM channel 93. It will be “an audio extension of our award winning stand-up comedy on Netflix,” said Netflix chief content officer Ted Sarandos. In addition to those mentioned above, featured comedians will also include Aziz Ansari, Bill Burr, Ellen DeGeneres, Gabriel Iglesias, Jerry Seinfeld, John Mulaney, Ken Jeong, Sarah Silverman, Sebastian Maniscalo, Trevor Noah, Wanda Sykes, and more. Listeners will be treated to established and up-and-coming artists, Netflix says. Segments from future stand-up specials will also debut on Netflix Is A Joke Radio before hitting the video streaming platform and other sources. Netflix also has plans for an original daily show that will feature celebrity guests and comedians discussing pop culture and hot topics. It will be recorded in SiriusXM’s new studios in Los Angeles. A trailer for Netflix Is A Joke Radio, below, offers a taste of the new station. You’ll be able to start enjoying it on SiriusXM starting April 15. SiriusXM is currently available in the U.S., Canada, and Puerto Rico. Netflix is yet to confirm where it’s new station will be available, but it’s likely it will be exclusive to these markets for now.